Q: What’s the zoning of my property? A: You can use CityMap, an interactive mapping tool, to find out the zoning designation, future land use designation, and other property information for parcels in Yakima. CityMap allows you to search by parcel number, site address, property owner last name, or organization name. Q: I own property in Yakima and want to know how I can use it. What uses are allowed on my property? A: Please review the Permitted Land Uses chapter of the Yakima Municipal Code (YMC 15.04). Once you know what zoning district your property is in, you can examine Table 4-1 in this chapter to see what uses are allowed in that district and what level of review would be required. Uses that are not permitted in that district will have a blank box. We encourage you to submit a pre-application meeting request to better understand what the requirements may be for the land use that you have in mind. Q: What are the dimensions of my lot and where are my property lines? A: The Planning Division does not keep record of exact property lines and lot dimensions for properties within the city. This information should be obtained through a title report or by hiring a professional land surveyor to mark where the property lines are. For estimations of lot sizes, you may use the measuring tool on CityMap. The County Assessor’s website also has estimated lot size information. Q: Where can I put my fence on my property and how tall can it be? A: The first step in determining where you can put your fence is to know the exact location of your property lines. Property owners may hire a land surveyor to mark their property lines for them, as surveyors have the knowledge and resources to accurately depict these points (note: city staff does not provide this service; a private land surveying company must be hired). 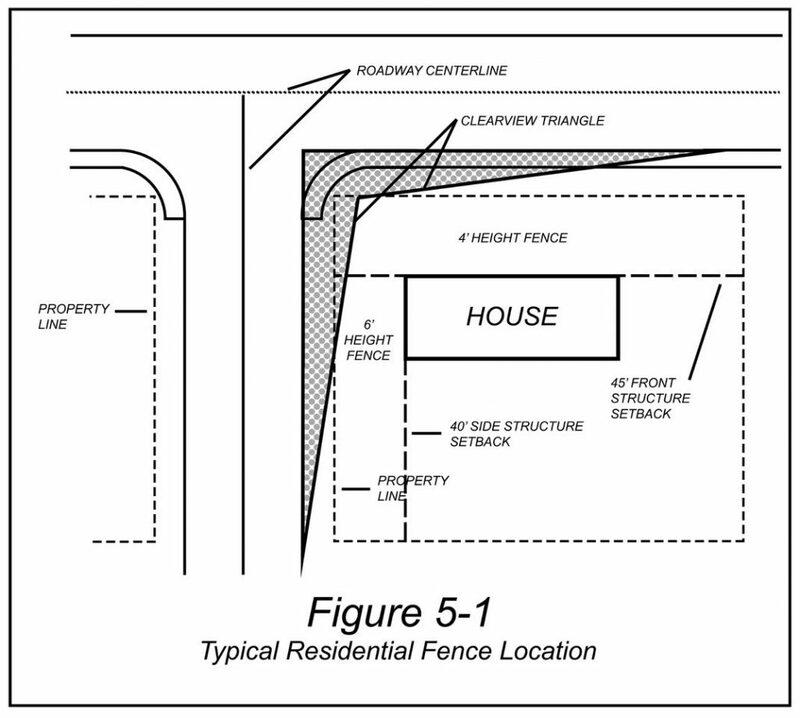 Please note that your fence must always be on or behind your property line. 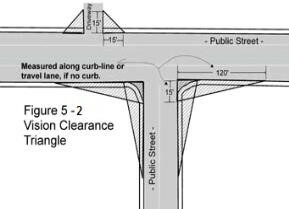 If you have a corner lot, any fencing within the clearview triangle cannot be taller than 2 and ½ feet for safety vision purposes (see additional information on the clearview triangle in YMC § 15.05.040 and images below). In some circumstances, it may be permissible to construct a fence that is taller than what the code allows. This may be allowed through an Administrative Adjustment application process in which the applicant must provide answers to the narrative questions in the application packet demonstrating the need and compatibility for such adjustment (download application here). Our planners are available to help answer any questions you may have on this topic. Q: Are Accessory Dwelling Units (ADUs) permitted in the city of Yakima? ADUs are one way to provide affordable housing and provide homeowners with extra income. They are allowed in the Suburban Residential (SR), Single-Family Residential (R-1), Two-Family Residential (R-2) and Multi-Family Residential (R-3) zoning districts. The chart indicating zones where ADUs are allowed and the type of review required can be found in YMC 15.04.030. Requirements. One factor in determining if you can have an ADU is the size of your lot. YMC 15.09.045states that ADUs shall only be permitted on lots/parcels appropriately sized for a duplex per YMC 15.05.030Table 5-2. However, ADUs proposed on lots smaller than this may be approved after undergoing one additional level of review as shown in YMC 15.04.030 Table 4-1. ADUs must follow other requirements related to size, setback requirements, and aesthetics, as well as connection to public sewer and water for ADUs that are not attached to the primary dwelling unit. See YMC 15.09.045 for a complete list of requirements. 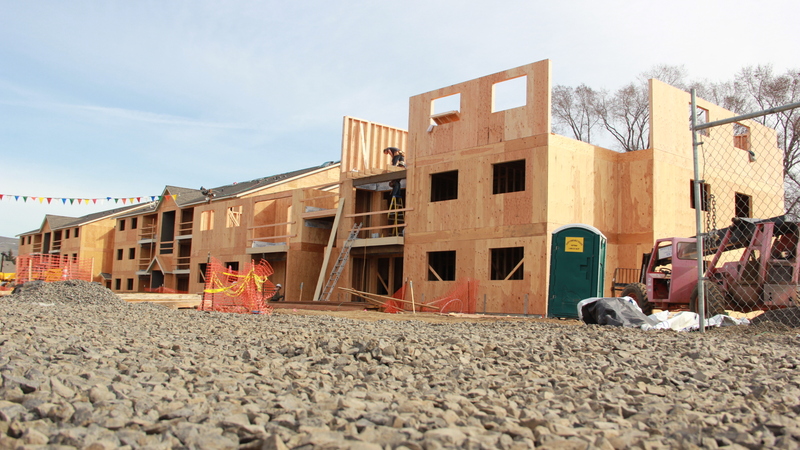 Please note that a parcel/lot cannot have more than one single-family residence and one ADU. Also, ADUs are not permitted on parcels containing a duplex or multifamily dwelling, or a commercial or industrial structure/use. Q: I want to add on to my home or other structure, or want to build a new structure on my property – what are the setback requirements? A: Requiring structures to be set back a certain distance from property lines, easements, and right-of-ways helps to ensure safety and privacy. These regulations can be found in the Site Design and Improvement Standards chapter of the Municipal Code (YMC 15.05). Please contact the Code Administration for questions related to building permits. Q: What regulations do I need to follow for putting up an accessory structure? A: Setback requirements for accessory structures such as garages and sheds can be found in the Site Design and Improvement Standards chapter of the Municipal Code (YMC 15.05). Accessory dwelling units are addressed in YMC 15.09.045. Contact the Code Administration to see if a building permit is required based on the size of the structure. Q: What kind of animals can I have on my property and how many am I allowed to have? A: Please review the definitions that are provided in Title 15 of the Yakima Municipal Code for terms such as “pet” (see also YMC 15.04.060 (D)), “animal husbandry” (see Table 4-1 Permitted Land Uses and YMC 15.09.070), “domestic farm animal”, and “domestic farm animal – pet”, to help determine what the regulations are for the types of animals you wish to keep on your property. Q: How does the City of Yakima regulate marijuana uses? A: Regulations for marijuana retail, processing, production, and research are outlined in the Special Development Standards chapter of the Yakima Municipal Code (YMC 15.09). Q: Does the City of Yakima allow people to rent their homes or a room in their homes for tourists? A: Short-term stays (30 or fewer consecutive days) are generally offered through hotels, motels, and bed and breakfasts. Online rental facilitators such as Airbnb and VRBO also provide tourists with short-term transient lodging options, generally within single-family residences. All owners of rental properties, including short-term rentals through online rental facilitators, are required to obtain a City of Yakima Business License which must be renewed annually, and undergo a one-time land use review process. Operating a Bed & Breakfast, Airbnb or VRBO in the City of Yakima. As governed by Yakima Municipal Code (YMC) Ch. 15.04, bed and breakfasts can be located in the CBD zoning district through a Type 1 land use review, and may be permitted in the SR, R-3, B-1, SCC, LCC, and GC zoning districts through a Type 2 Review. Owners may rent out portions of the house they currently reside in as a “home occupation” bed and breakfast. In this situation, owners are limited to having not more than five lodging units or guest rooms. 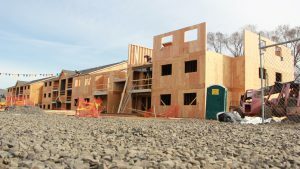 This home occupation is permitted in the SR, R-2, and R-3 zoning districts through a Type 1 Review, and may be permitted in the R-1 zoning district through a Type 2 Review. Airbnb, VRBO and other owners using similar short-term online rental facilitators, are currently processed the same as bed and breakfasts. The definitions of the various types of short-term accommodations can be found at Yakima Municipal Code 15.02.020. The chart indicating zones where uses are allowed and the type of review required can be found at YMC 15.04.030. Bed and Breakfasts are further regulated under YMC 15.09.080. Home occupation regulations are found at YMC 15.04.120. The City of Yakima Planning Commission (YPC) will be looking at potential code changes specific to short term rentals, such as Airbnb and VRBO rentals, during the 2019 update process. If you would like to receive more information on when and where the YPC meets, please visit the YPC page or contact us here. Q: Can I have a well on my property? A: The Yakima Municipal Code imposes lot size requirements that must be met in order to have a well (individual water system). See the table in YMC 15.05.030 for these requirements. If your lot does in fact meet the requirements in the table, you will need to contact the Yakima County Health District, who ultimately makes the decision. The Health District may determine that a larger area is necessary for the safe installation of approved water supply. Q: Can I have my own septic system on my property? A: The Yakima Municipal Code imposes lot size requirements that must be met in order to have your own septic system. See the table in YMC 15.05.030 for these requirements. If your lot does in fact meet the requirements in the table, you will need to contact the Yakima County Health District, who ultimately makes the decision. The Health District may determine that a larger area is necessary for the safe installation of the sewage system. Q: How can I report a zoning code violation? A: Contact Code Compliance at (509) 576-6657, stop by the Codes/Permitting counter during business hours to make a complaint in person, or submit a Yak Back request. See the Code Compliance webpage for more info. For questions related to business licenses (and renewals) or permits not referenced here, please visit the Code Administration website or contact them at (509) 575-6126 or email to codes@yakimawa.gov. Don’t hesitate to give us a call at (509) 575-6183 or email to ask.planning@yakimawa.gov for any questions you may have. Note: phone numbers are subject to change. Please perform an online search if the information below is out-of-date.